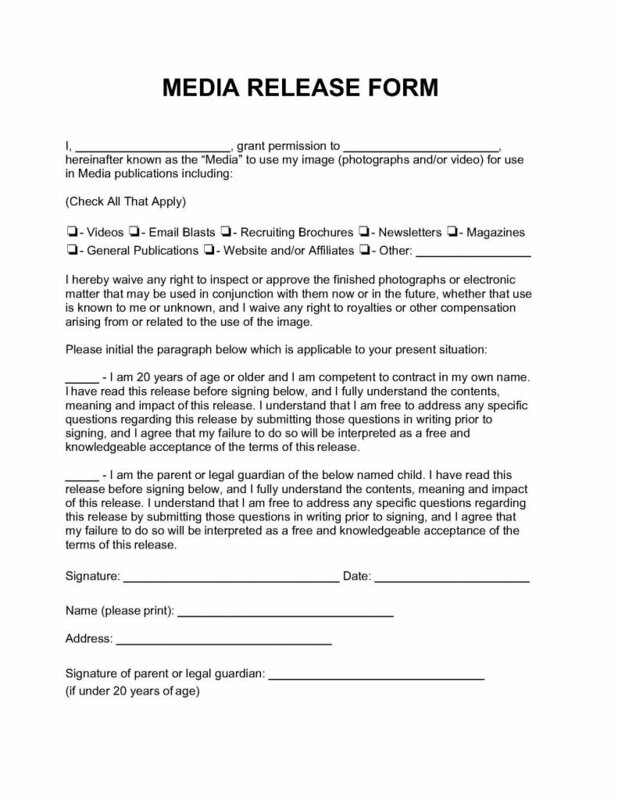 The media release form is a document that is used by someone who would need to acquire written permission to use another person’s photographs, being still or video for media publications. 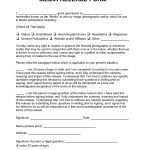 In signing this form, the grantor would waive all rights to inspect the images or approve them, once they have been completed, in any way. The grantor will also agree that they will receive no compensation of any kind to include royalties from the use of any of their images. The grantor should carefully read the document prior to completion and application of signature to be certain they are willing to adhere to the terms of the agreement. If the grantor is willing to provide permission to the grantee, to use their images as they wish, then the grantor must complete and sign the document and submit it to the grantee. The images cannot be used in any way, without written permission from the grantee, without possible legal repercussion. Once the document is signed and submitted, the grantee, will have little legal recourse. If the subject is a minor a parent and/or legal guardian must initial the second paragraph and provide signature to the document. No minor or person under the age of 20 years, may grant permission on their own.